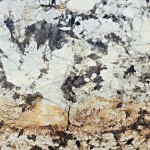 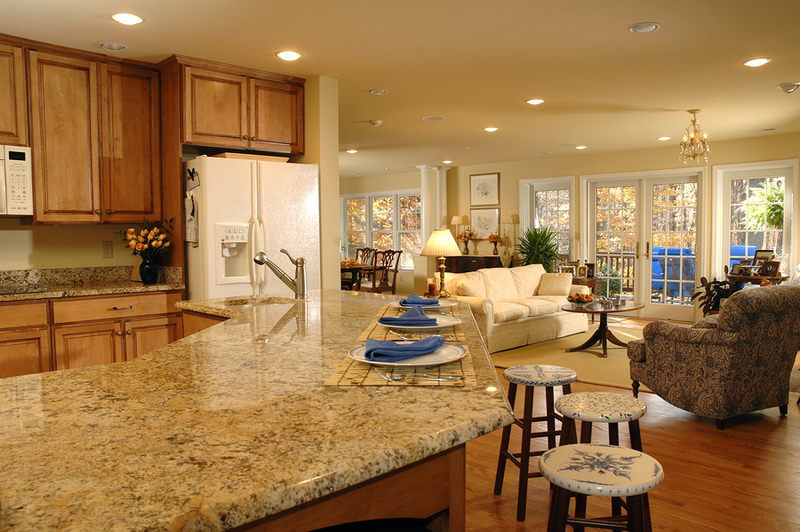 Natural stone counter tops provide an aesthetic beauty and durability that can only be found in nature. 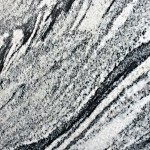 Granite is the most popular stone surface in terms of overall sales, with marble, soapstone, travertine, slate and limestone used to a lesser extent. 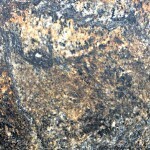 Natural stone is one of the oldest building materials known to man. 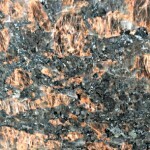 It is classified in three distinct categories: Igneous (granite), metamorphic (marble and soapstone) and sedimentary (sandstone and limestone). 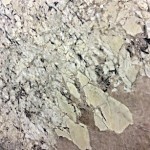 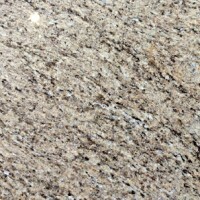 Sedimentary rock, which is formed by settling and compaction of materials, is the softest of the three and is generally not appropriate for use in kitchen counter tops. 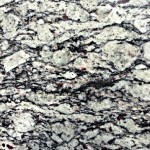 Metamorphic rock, which is formed from other rock through heat and pressure, is also fairly soft but, depending on its density, can be used in the kitchen or bath. 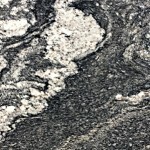 Igneous rock, which is formed by magma (molten rock) cooling and solidifying, is typically the hardest and best suited stone for counter tops. 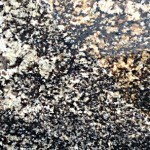 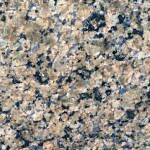 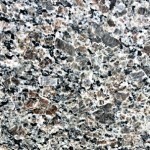 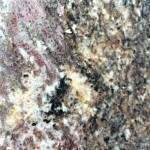 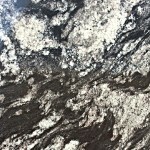 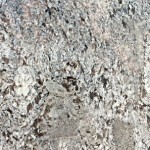 The hardness of granite is well-known and there is no shortage of it, as it is the most abundant stone on Earth. 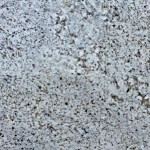 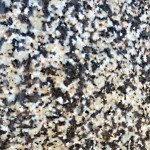 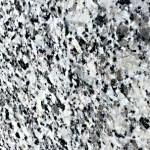 Prior to fabrication into counter tops, granite is cut into slabs that range in thickness from ¾ inch (2 cm) to 2¼ inches (4 cm) with the standard for kitchen surfaces being 1¼ inch (3 cm). 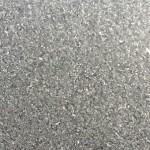 After cutting to size, the slabs are often resin sealed with an epoxy or polyester coating and cured for a short time in ovens, depending on the composition and the particular quarry company. 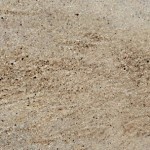 Once sealed and the applied resin has cured, the slab is polished to bring out its natural veining and luster. 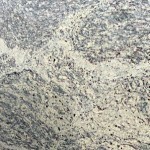 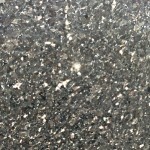 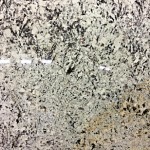 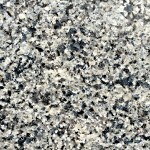 Although special finishes, such as a honed finish, are available, the vast majority of granite slabs meant for use as counter tops receive a high polish finish. 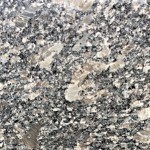 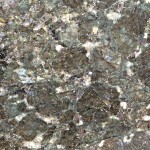 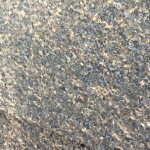 Granite is composed of varying quantities and dispersions of quartz, feldspar, mica and other crystalline rock that makes it available in a rainbow of colors. 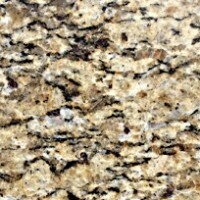 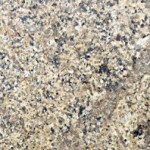 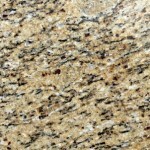 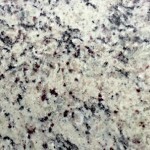 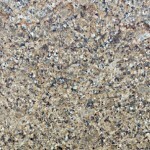 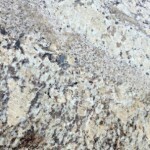 Tan and beige granite has traditionally been the most popular while blacks and grays have come into fashion in recent years. 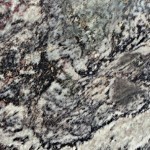 Other colors include varying shades of red, green, blue and purple, although there is virtually a limitless variety of colors and patterns. 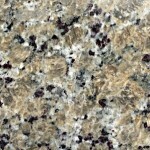 Note: All colors shown are representative and will vary from lot to lot.